The world of speed will never be the same again after Thursday the 27th September 2012. This year at the Paris Motor Show, McLaren will unveil its strategy with which to fast forward the automotive world. This is a project that they have been teasing and tormenting us with by giving its followers only glimpses of what is to come. This is what we do know and we can presently share with you. A unique and very powerful film leading to the countdown of the unveiling has been created which encompasses everything that speed, design and power stand for. 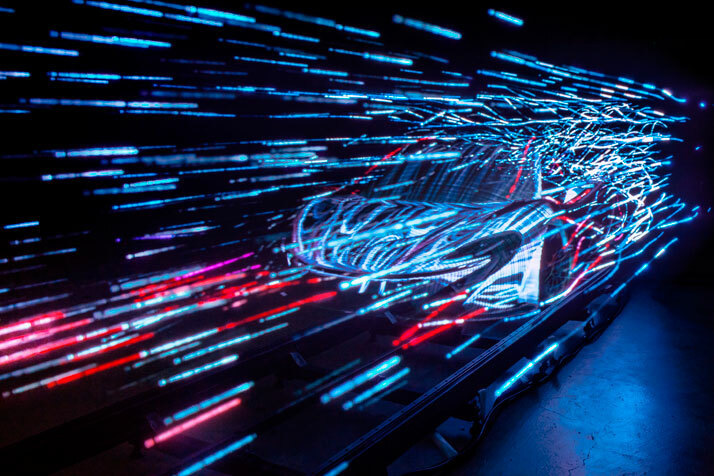 Through the use of light painting techniques animated as a 3D sculpture of light – using groundbreaking digital photography to map wind tunnel airflow data, McLaren’s tantalizing mission that has us all crying out with anticipation has been accomplished. As soon as the video starts, you instantly feel the raw adrenaline gain momentum through the pure force of it all. The creation process is truly an exceptional journey. 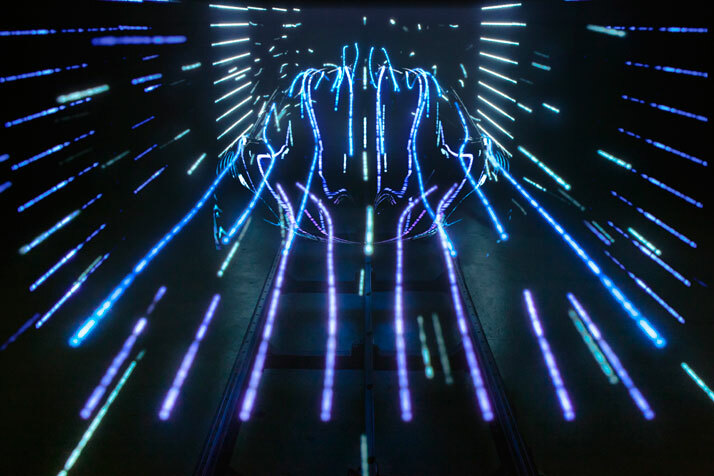 For the purposes of the film, wind tunnel data was fed through custom software in order to score out paths for individual trails of light – culminating in a 1,000-frame 3D animation of air-flow data. 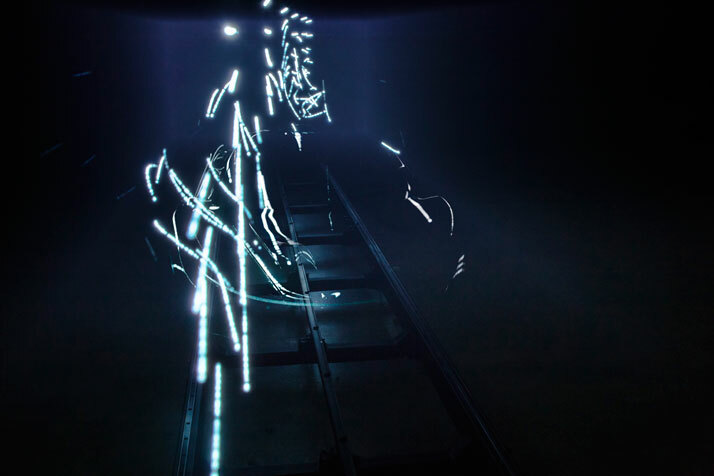 Next, the animation was then light-painted in a studio, using two motion-controlled rigs. Each run of the rigs resulted in a picture that was an accurate representation of one frame of the 3D animation –repeated 1,000 times for each frame. 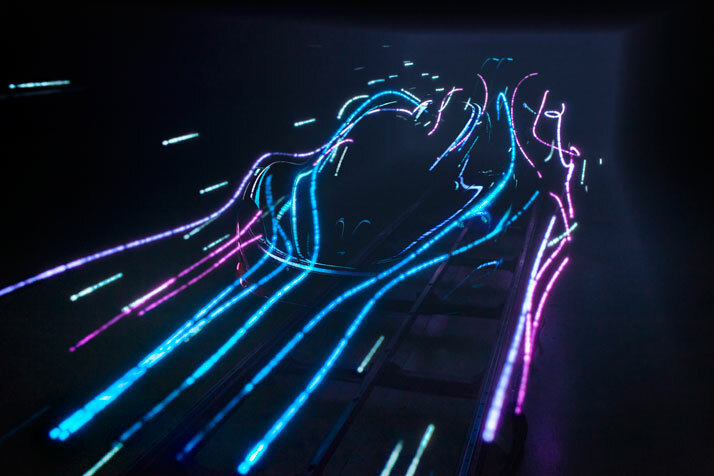 The finished film merges photography, animation and sculpture in a unique combination that does justice to the aerodynamics and design engineering that McLaren Automotive stands for. Through the transporting light we see the ultimate teaser, that being the shape of the car and the creation of a power engine that is roaring to be discovered as if it knows that it has been kept in the dark for too long. The debut will be launched at McLaren Automotive /YouTube and the story will unfold over this coming week through the official McLaren Automotive social media networks.